We're still experiencing the brutal summer heat here in Southern Utah, so I'm sticking to my coffee served cold kick. My cold brew recipe came about through a couple of months worth of slowly adding new pieces to make the process easier. It'll likely change still as I play around with different ideas and tools but before I developed this process, I used a French Press. As a full immersion brew device, the French press transitions into a cold brewer remarkably well. I've also had bunch of conversations recently revolving around cold brew (I blame the heat), so it seems like the perfect time to visit the subject again. When I was in college, I worked at a running shoe store. During my training, my boss insisted that I understand the difference between a feature and a benefit. The manufacturers would send us bullet points of all the impressive technology they packed into their new running shoe, but that meant nothing to most of my customers. I took on the job as the salesman to translate those features into real life benefits my customers could relate with. When we last discussed cold brew, we dove into the science behind the brew method and its resulting flavor profile. Today, we're going to take those science-y features and translate them into practical benefits for your everyday coffee brewing. I've chatted with quite a few people recently who have stopped drinking coffee due to its acidity and the issues it can cause in their stomach. Thanks to the low brew temperature, the particles that cause a coffee's acidity don't dissolve resulting in a less acidic end product. But what if you're a die hard hot coffee drinker? Fear not, we've still got you covered. Brewing cold brew as a concentrate gives you the freedom to add either hot or cold water depending on your preference. To further reduce the amount of acidity in your coffee, try a dark roast. Thanks to the chemistry of roasting and the incorporation of a chemical called N-methylpyridinium (or NMP for short), dark roasts contain less acidic solvents than lighter roasts. So if you have troubles with coffee's acidity, try cold brewing a dark roast. Important side note: Please take all of this information with a grain of salt because I am not a doctor. Definitely take your doctor's advice over mine here. Eliminating high temperatures from brewing also gives you the ability to keep coffee fresh for longer periods of time. That means, for relatively easy preparation, you can make multiple days worth of coffee in a single sitting. All of my favorite cold brew recipes result in a concentrated coffee mixture that can then be cut to your desired strength. As I mentioned above, this gives you the flexibility to make both hot and cold coffee from the same concentrate depending on the water you cut it with. For those of you who don't have the time to manually brew a cup of coffee every morning, you could cold brew a batch of concentrate and quickly cut it each morning for a quick cup of coffee ready to go. 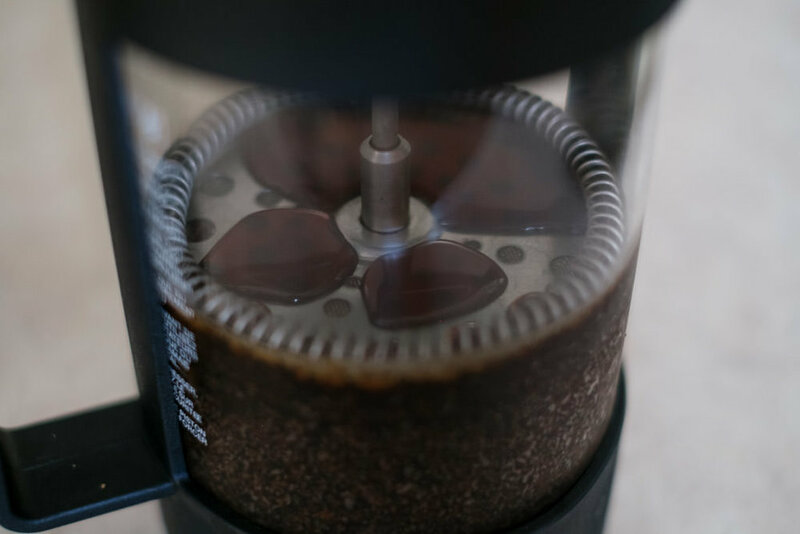 If you'd like to get a little more about the science behind cold brew, make sure you check out the first cold brew post.